Falling prices can be positive. In Britain, shrinking shop prices encourage consumption and may delay rate rises. In euro zone countries where unemployment is high and competitiveness weak, falling prices reflect structural flaws and may depress rather than stimulate. A souvenir bag is seen for sale on a market stall on Oxford Street in London. British retailers saw the biggest annual decline in prices since at least 2006 in June, with cheaper furniture, electricals and clothes as well as a supermarket price war all contributing, an industry group said on July 9. The British Retail Consortium reported that prices in shops fell 1.8 percent last month compared with a year earlier. The decline was the biggest annual drop since the survey began in December 2006. Food prices were 0.6 percent higher - the smallest gain on record - while non-food prices were 3.4 percent lower, another record fall. 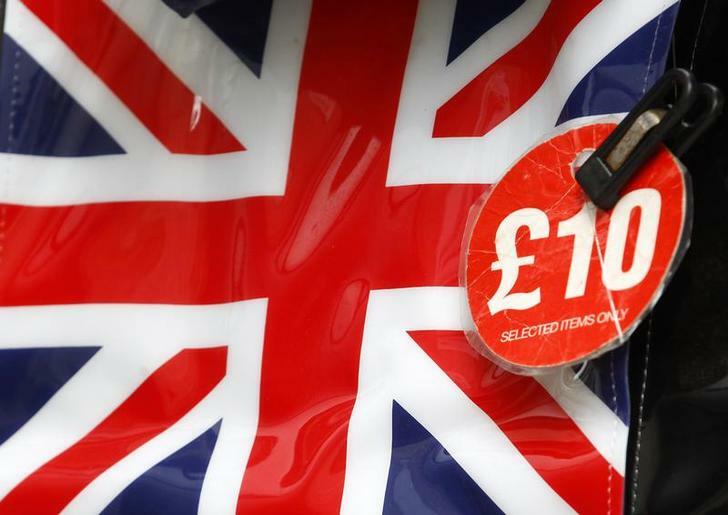 British consumer morale touched its highest level in more than nine years last month as Britons became increasingly optimistic about the country’s burgeoning economic recovery, a survey showed on June 27. Polling company GfK said its monthly consumer confidence index rose to +1 in June from zero in May, its highest since March 2005, albeit below a Reuters poll forecast of +2.